Shipping furniture and large appliances — whether delivering them to customers or moving them to your new home – can be very difficult. In most cases, you will need help from specialist movers. However, not all movers have the capability or the capacity to handle refrigerators, ovens, washing machines, and other large appliances, not to mention that not every company can move luxury and antique furniture. Thereby, when it comes to moving valuable, large, bulky, and expensive items, you will hardly find a better option than to hire professional shippers of fine art. For example, at Fine Art Shippers, we are happy to offer our clients comprehensive furniture and appliance shipping services of the highest quality! Our team has many years of experience in appliance shipping, and we know how to move these large yet delicate items properly so that they reach the destination in the same condition they left. This is particularly important when moving washers, dishwashers, gas and electric ranges, dryers, and refrigerators as they have many mechanized parts, connectors, knobs, and delicate surfaces that require special attention. Moreover, professional appliance shipping is not only about proper handling but also about proper packing and loading on a truck, which demands certain skills and knowledge. At Fine Art Shippers, we take care of every single step of the appliance shipping process to ensure that our clients’ possessions all arrive at their new home in good working condition and on time! 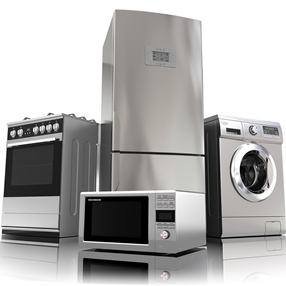 In addition to our comprehensive appliance shipping service, we also offer a full range of furniture shipping services. From moving dining room sets and living room furniture to bedroom sets and mattresses, no job is too large or complicated for Fine Art Shippers. Besides, we are just a perfect choice for the safe and secure relocation of antique and luxury furniture pieces of high value. Furthermore, our extensive experience and customized approach to every order allow our team to work with some of the best designers and decorators in New York City, so if you need any additional interior design assistance, we can help you with that too! Whether it comes to moving luxury furniture or you need appliance shipping services, Fine Art Shippers is always at your disposal! Moreover, our company is known for providing the highest quality service at a reasonable price to meet the budget of every client.